Wedding stationery set with a peach watercolour theme. This set is part of the Valentine's 2017 design collection and features soft peach toned brush strokes. 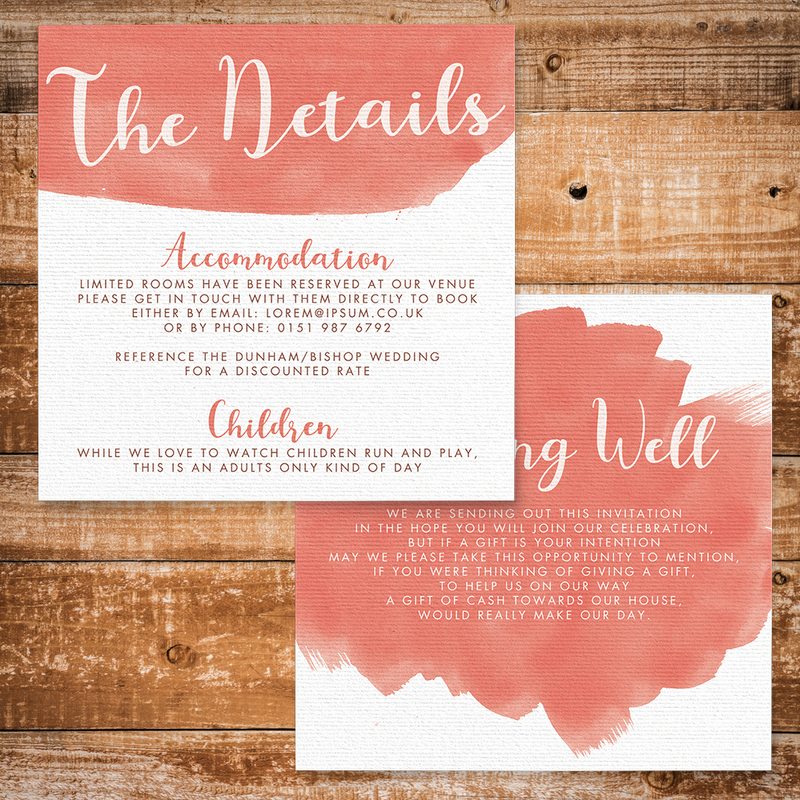 Simple and sweet as a peach, this set couples lovely watercolour texture with a small addition of script.